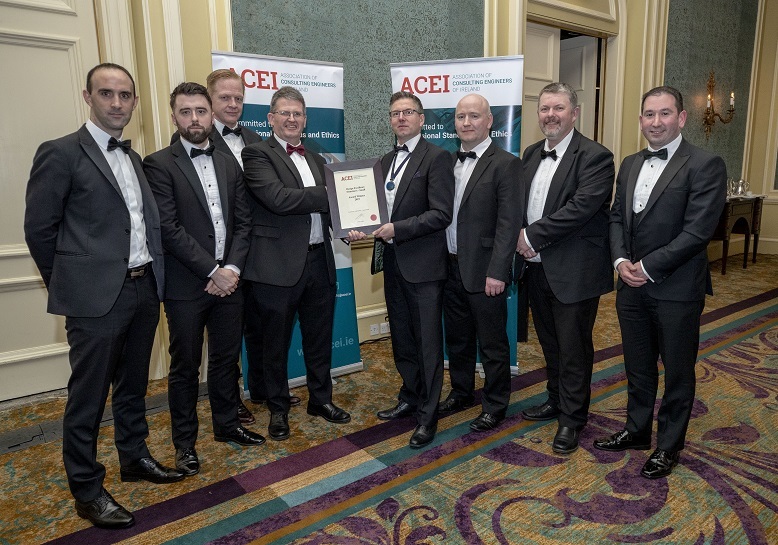 Malachy Walsh and Partners for the Rossbeigh Cliff Bypass, Kerry. 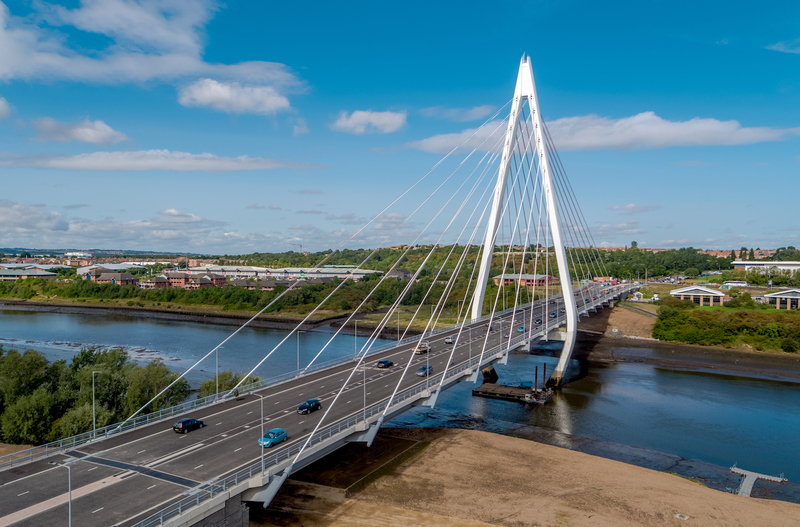 Roughan & O'Donovan for the Northern Spire Bridge, Sunderland, UK. 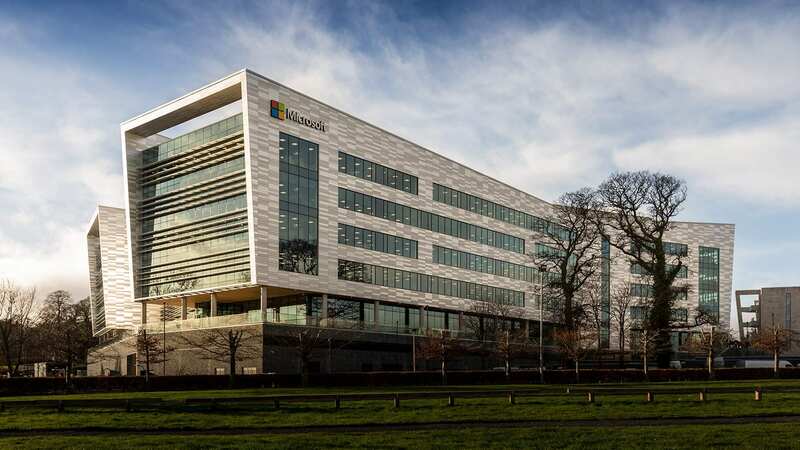 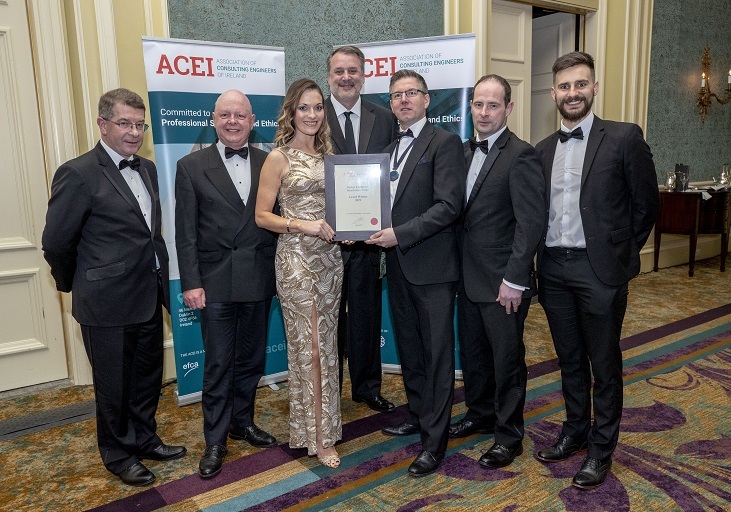 Winner of the Overseas Award: Roughan O'Donovan - BuroHappold Design Joint Venture and Farrans for the Northern Spire Bridge, Sunderland, UK. 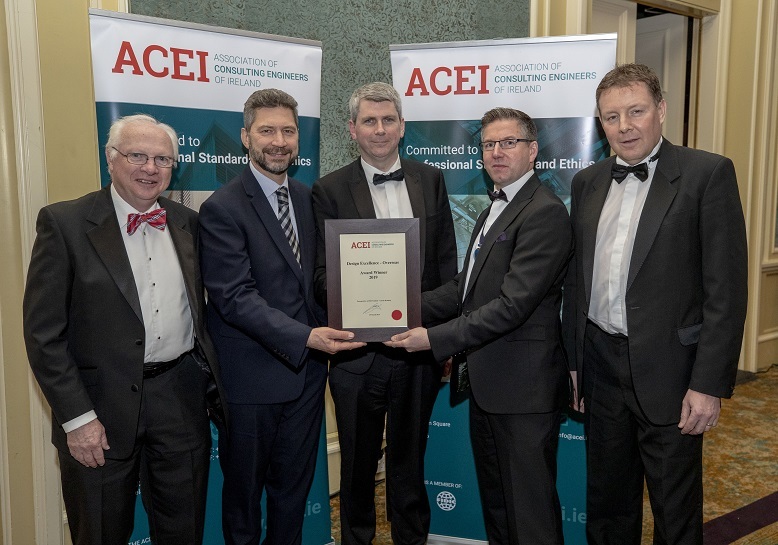 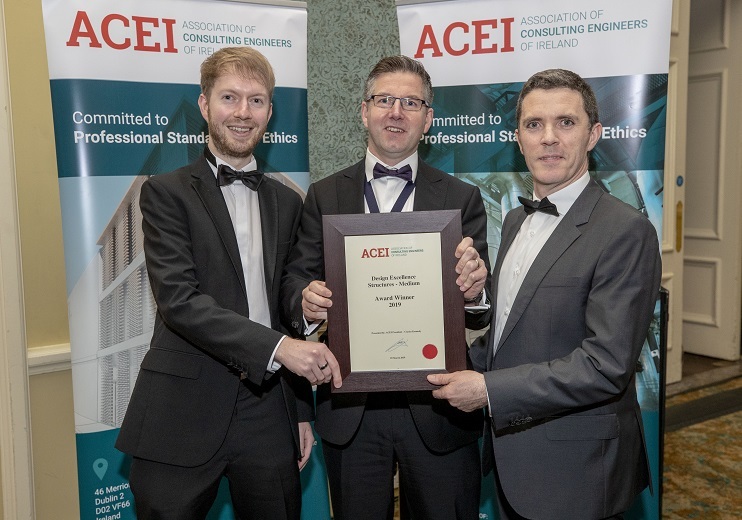 ACEI President Ciarán Kennedy with Fintan Buggy (Roughan & O’Donovan), Davood Liaghat (BuroHappold) ,Tony Dempsey (Roughan & O’Donovan), David Parr (Farrans). 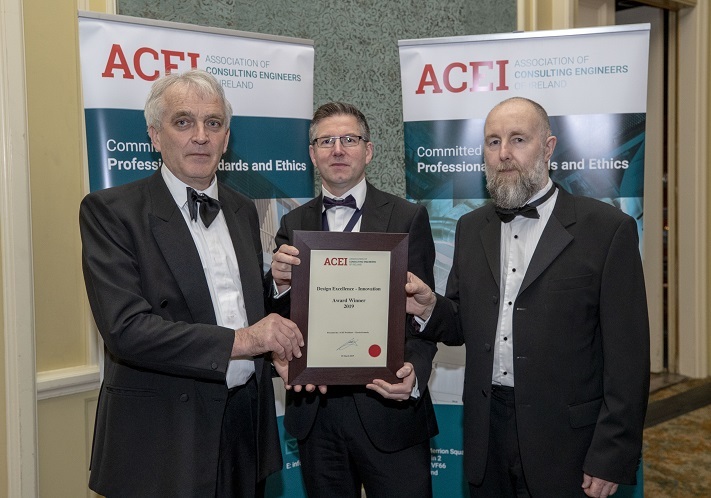 Joseph Anthony Kindregan, for his international leadership and life-long contribution to engineering education.